I am a UI and UX designer/developer. Hi, I'm Ted. I'm a UI and UX designer and developer that specializes in creating digital products with exceptional user experiences. My approach is user-centred and my designs are content-driven. My passion for creating interesting and intuitive interfaces is matched only by my desire to write clean, elegant and efficient code. I've been employed at CI Investments since January, 2011. As the Senior UX/Web Designer, I am responsible for UI and UX design and development of websites and other digital products. This includes information architecture, usability testing and search engine optimization. I'm often called upon to consult on prospective digital products and mentor other digital designers on their projects. Below are a few recent CI projects of which I was the principal designer. This website was rebuilt from the ground up. I was responsible for the wireframing, information architecture, visual design and front-end development of the project. I worked closely with developers to design a content management system (Drupal) that gave product owners the ability to easily maintain the website themselves. 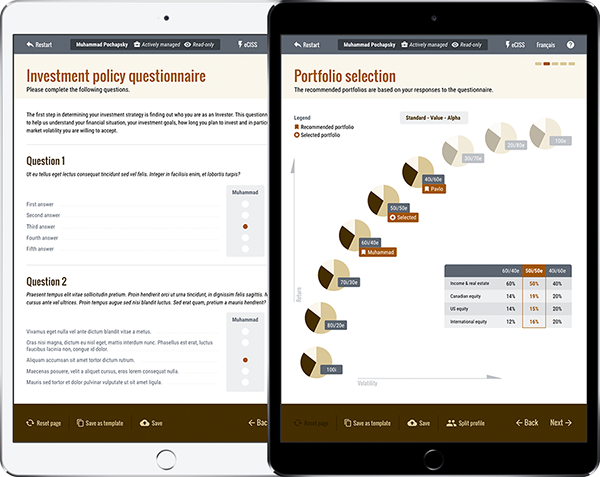 Advisors needed a tool they could take on the road to illustrate different investment scenarios for Evolution products. I was responsible for wireframing, prototyping, designing and developing a product suitable for collecting a lot of information and presenting dynamic charts and data. 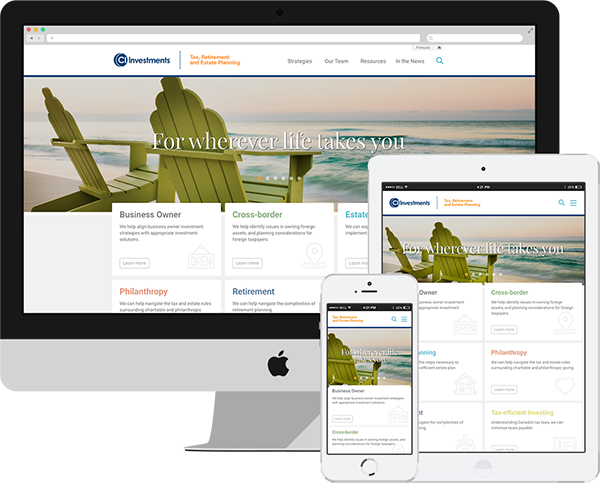 The TREP team needed a website where there was no website before. 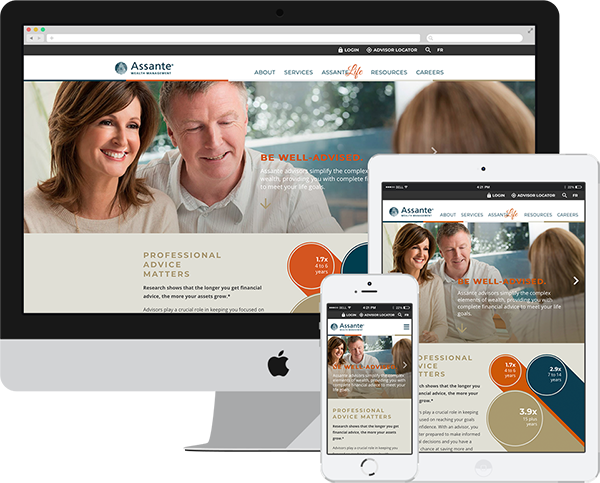 I worked closely with the business unit to wireframe and architect the site and organize their content. I created concepts, then designed and developed the front-end and built the content-types, views, panels and pages in Drupal. 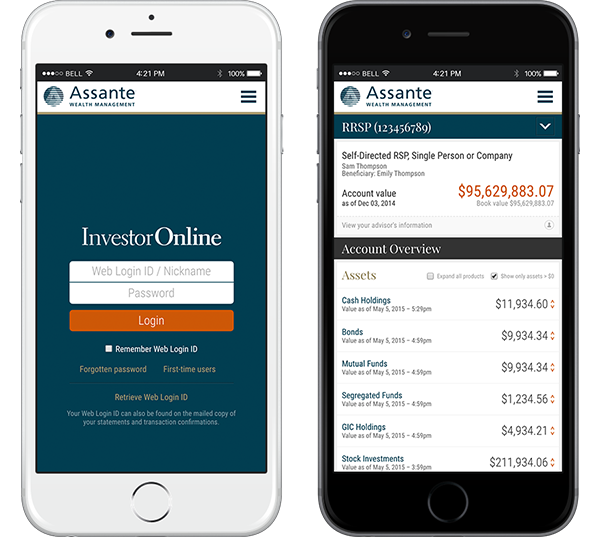 Assante wanted their investor portal to be mobile-friendly. I was responsible for wireframing, prototyping, designing and developing a layout that could display a lot of dynamic information on a small screen. Architected/designed/developed numerous other CI digital properties including: our Human Resources web portal; the Client Services resource portals for both CI and Assante; and the Learning & Development intranet resource.